Alligators are very common to see in Big Cypress National Preserve. 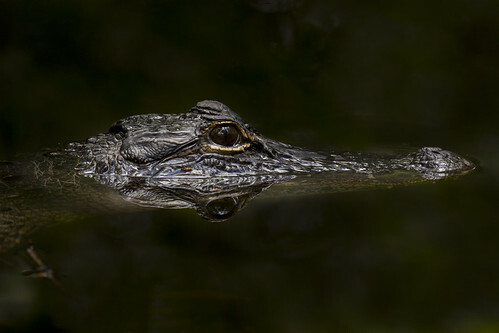 This alligator was seen in a cypress strands from the famous gravel but scenic road called Loop Road. I found alligators were not very easy or straightforward to photograph because of their highly light reflective skin under sunlight.